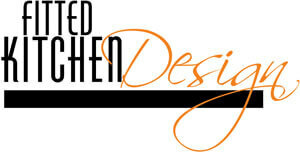 Many kitchen remodeling projects involve a major investment in buying new kitchen cabinets. The next important decision after choosing new cabinets is who will install them in the kitchen. While some homeowners may decide to try to do this themselves, that may not be the wisest decision. 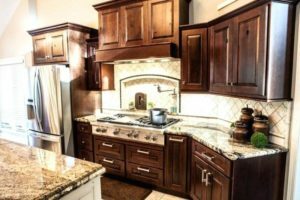 A professional will get the job done right and get it done quickly, but only if the homeowner takes enough time and initiative to find and hire a skilled professional to install new kitchen cabinets. Ask Friends and Family for Referrals: Ask around with various friends and family members and see if any of them have had their kitchen cabinets recently installed. Ask those who did, who they used and how good the job was done. This will give a general idea of who is available and who does quality work. Ask the Professional for References: Any kitchen cabinet installer under consideration should have many happy customers to brag about. This is easy to find out by asking them to furnish a list of references. After getting the list, it’s crucial to take the time and speak with the references and see how pleased or displeased they were with the work. Ask the Professional for Licenses: Another item to ask any professional installer being considered is to provide proof that they are in fact licensed and insured if need be. If they are not, then it would be wise to look elsewhere, even if they can do it for a little less money. It just isn’t worth the risk. Consider Feelings: It’s important to remember that the installation professional chosen for the job will spend a lot of time in the customer’s home. While this consideration is a lot harder to quantify, it’s still important to go with an installer who won’t be a source of anxiety. There is no sense in having someone spending that amount of time in such close contact if they will make the homeowner feel uncomfortable in their own home. In some cases, an uneasy feeling about a contractor can lead to a miserable experience in getting the project done. Choosing to use a kitchen cabinet installation professional will prove to be money well spent. Though the cost certainly increases, the time, effort, and aggravation that a professional can save in a project like this is all but priceless. Take the time to make sure the kitchen cabinet installer chosen is professional, skilled, and highly recommended. Making this decision wisely will add even more enjoyment to getting that dream kitchen. For more information you can call us 01157 365866 or email us info@fittedkitchendesign.co.uk and also you can visit to our website http://www.fittedkitchendesign.co.uk.